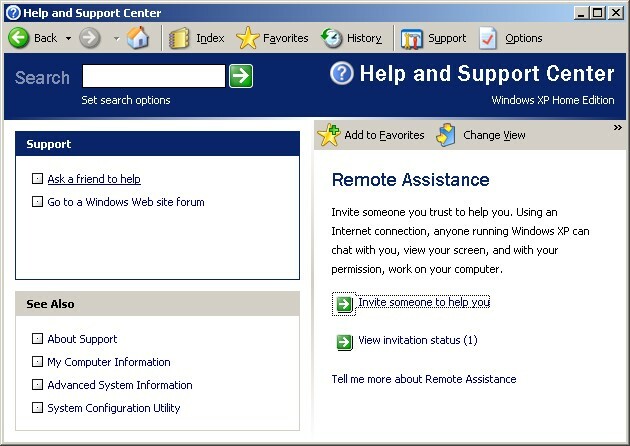 For Windows XP Professional and recent versions of Windows, Microsoft includes the Remote Assistance feature. It is Free! 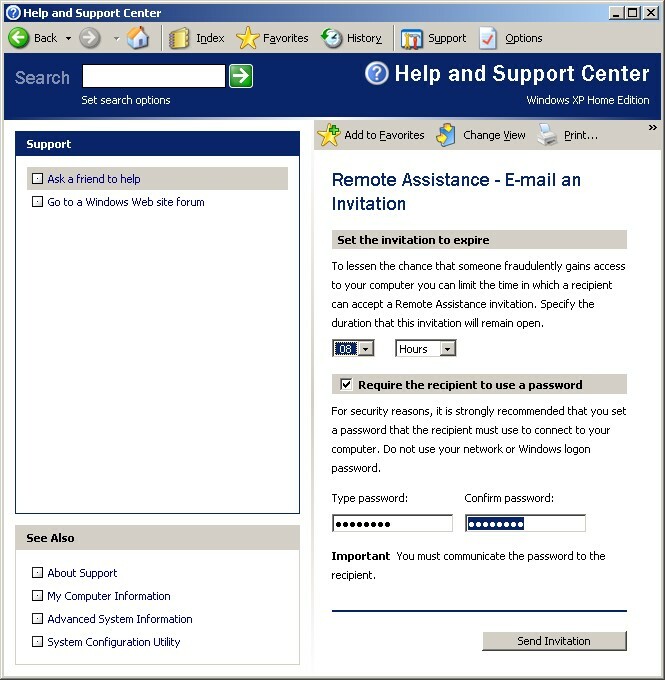 Here is how to activate it, so that we can log in to help you. 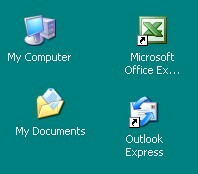 The mouse will move around the desktop just as if we visited you personally. This saves travel time and expense for you. If you already have done steps 1 through 4, you may go directly to step 5. 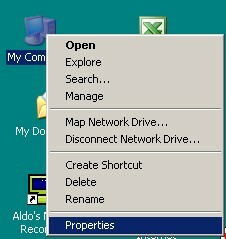 3 On the System Properties tab, select Remote. 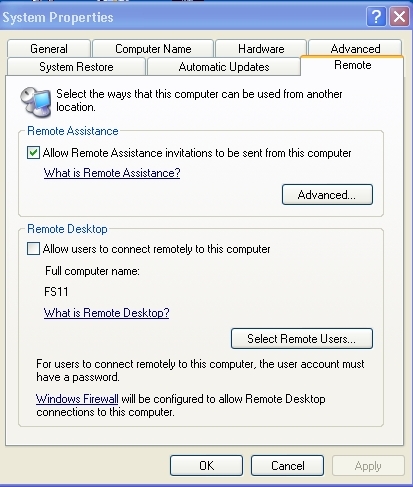 If not already selected, please select Remote Assistance so that it is checked on. 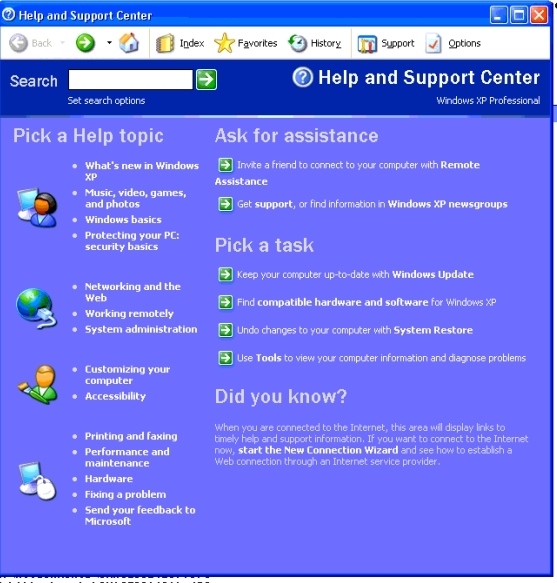 6 You will see the Help and Support Center. 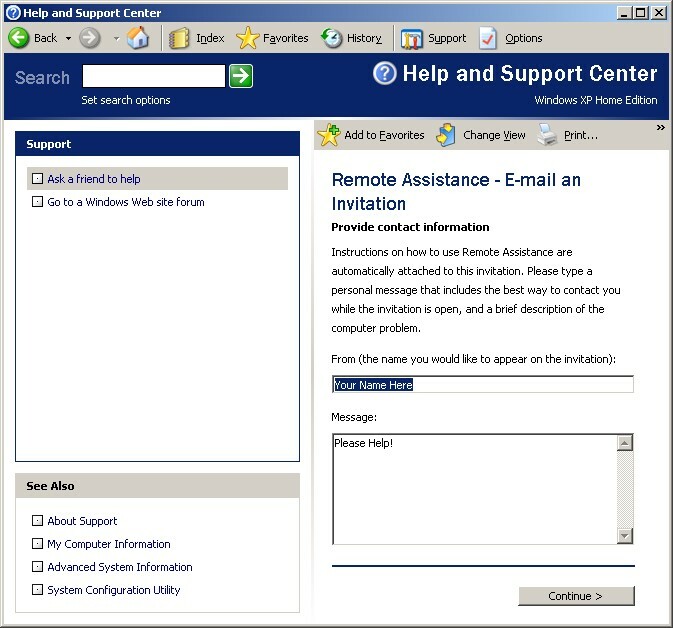 9 Enter the From as your name, plus a Message describing the help you would like, then Continue. 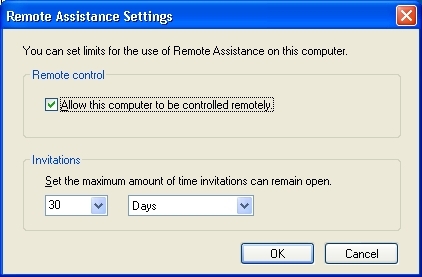 10 Set the invitation to expire in 8 hours (to give us time to respond). Enter a password of your choice. 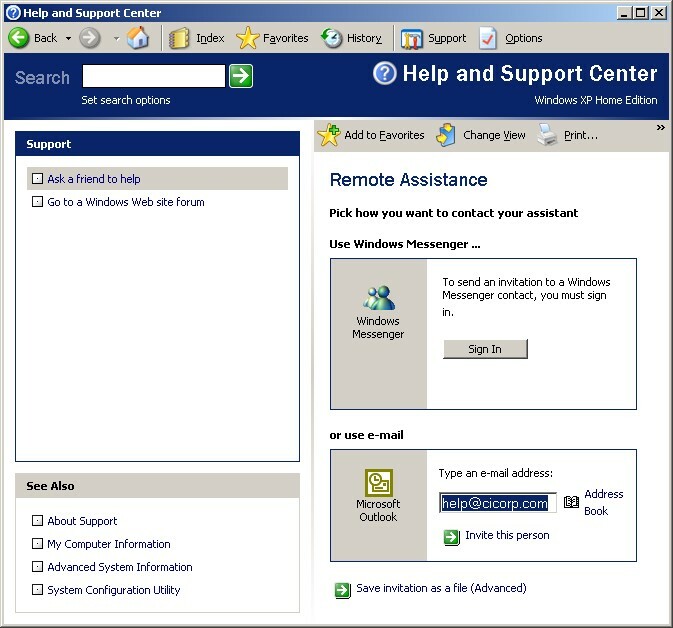 Then call us at 800-319-3190 to let us know what it is, and to arrange a time to log in. Depending on the type of help you need, and our current schedule, we may need more time for the invitation to last. 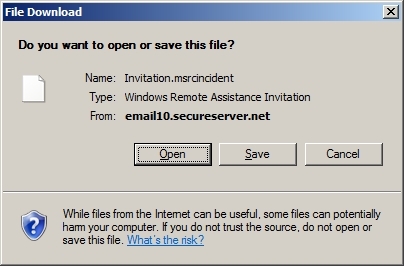 Select Send Invitation. 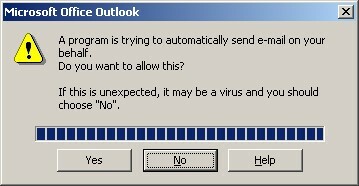 12 You may see the following dialog from Microsoft Outlook for mail initiated from outside Outlook. 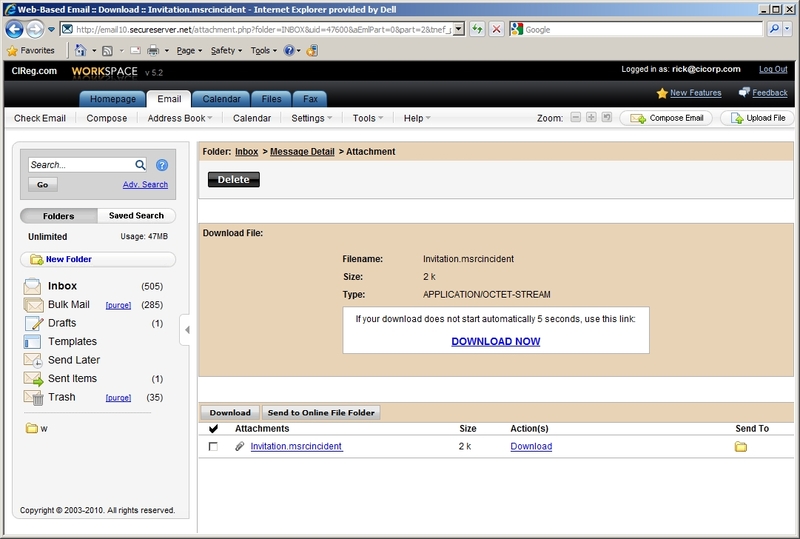 Select Allow access for 1 minute for the email to go out. 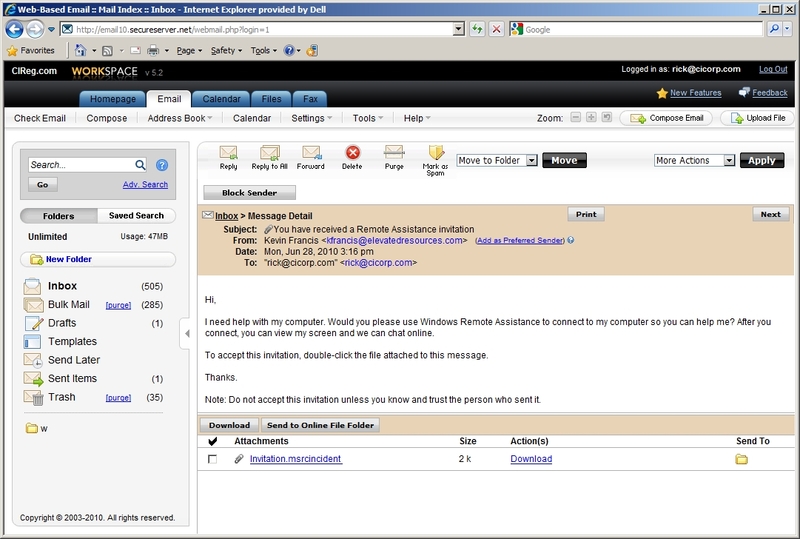 13 A second message will appear. 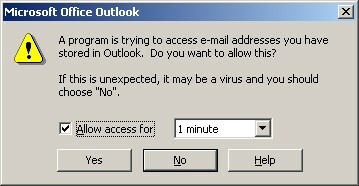 It is ok to select Yes as the invitation is emailed to us. 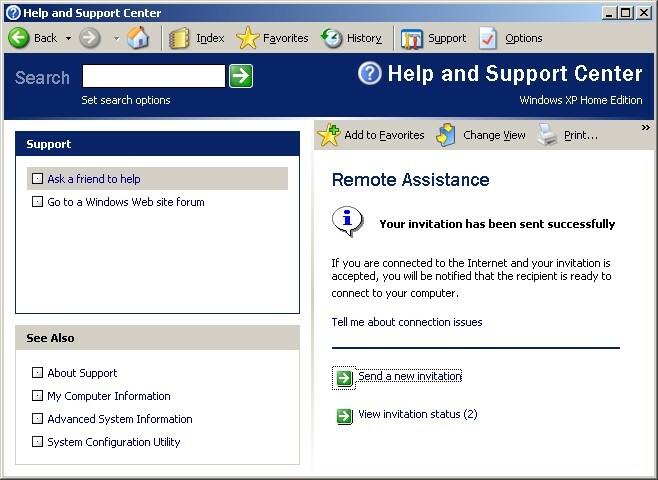 14 You will see a message saying Your invitation has been sent successfully.